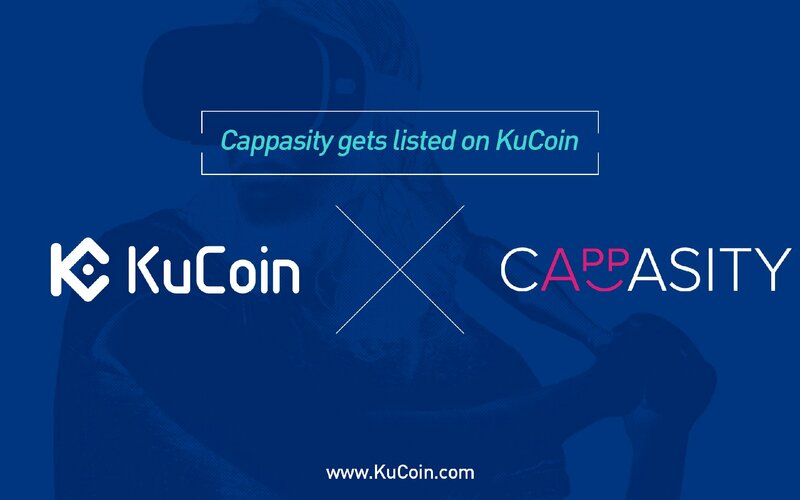 Reading: Cappasity (CAPP) gets listed on KuCoin! KuCoin is extremely proud to announce yet another great project coming to our trading platform. Cappasity (CAPP) is now available on KuCoin. Supported trading pairs including CAPP/BTC, CAPP/ETH. The 3D world is rapidly expanding. Goldman Sachs expects the software AR/VR market to achieve $35b by 2025 with 60% of VR/AR software revenue driven by the consumer. Today AR/VR technologies are used not only in the gaming industry, but also in e-commerce, art, education, medicine, and many others. However, in many industries, AR/VR mass creation and distribution is limited due to the lack of compelling content, which is caused by its labor-intensive and time-consuming production, high cost and often disappointing quality. To solve this problem, Cappasity is developing the first decentralized content-oriented global 3D platform. The platform makes AR/VR/3D content generation and distribution easy, fast and accessible for both businesses and ordinary users as it provides participants with a convenient environment and all the necessary tools for fruitful interaction. The platform provides decentralized and trustless copyrights storage and is powered by a token (CAPP) – a cryptocurrency that is used for content and services purchased via the ecosystem. CAPP is a utility token and fully ERC-20 compliant. The platform features were designed to be open to other developers using Unity, Unreal Engine, Apple ARKit and Google ARCore technologies. As for today, each month the Cappasity platform serves more than 1M views of 3D content. Cappasity is actively used by various luxury brands. Some notable examples are – Jazmin Chebar and Claris Virot. The Cappasity’s platform will be utilized by 30 US educational institutions in 2018. Cappasity is a partner of Intel, Nvidia and launched their platform in China with the help of Alibaba team. Cappasity has been identified as one of the AR/VR leaders in e-commerce by Digi-Capital and is recognized as the only company that has done an ICO in the AR/VR industry.